Giro 100. Crazy Heart On Crazy Mountain. Not many sports hold events on volcanoes but, pardon the clichè, cycling is not just any sport. The Giro d’Italia makes a visit to Mount Etna on the island of Sicily today and as it has done in the past it’s almost seen as no big thing. The mountain is still far from ordinary though and the same can be said of the winner of the stage finishing up Etna in the 1967 Giro. It could even be said that Franco Bitossi was more like Etna then his rivals chasing him that day. 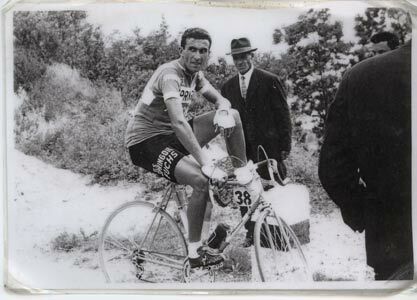 Bitossi was known as falena or ‘moth’ as his smooth pedalling style could make it seem as if he was floating. His victories seemed to be achieved in a state of calm but like Etna every so often the peace was shattered by something deep within. Falena wasn’t his only nickname, he was also known as cuore matto or ‘crazy heart’. The Tuscan had been diagnosed with heart-rate problems early on in his career and his beats could reach 220 in a minute on occasion. It’s not certain whether he had an irregular heartbeat or was suffering from a psychological problem like panic attacks but one thing was clear, whatever the condition it wasn’t an ideal one for a professional cyclist to be suffering from. The only advice his doctor could give him, apart from to quit altogether, was to stop riding when his heart rate got to high. Fans at the side of the road would witness the bizarre scene of the leader of the race flying past them only for him to stop, get off his bike and watch as the rest of the race passes him and continue up the road. If his pulse raced up towards the finishing line he would continue but seemingly in slow motion, grinding his way along flat finishing straights as if he was going up the Mur de Huy. There is footage of him at the of 1972 World Championships approaching the finish with a seemingly unassailable lead when he suddenly starts weaving along the road looking as if he is pedalling through mud. 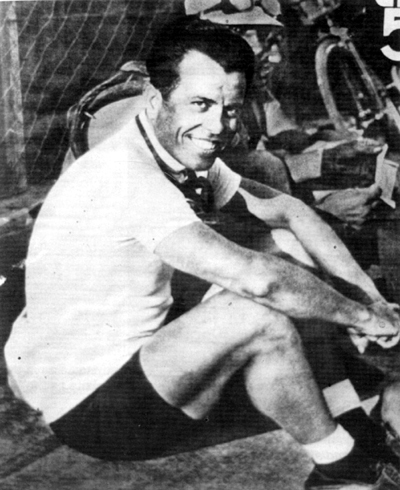 He is eventually pipped on the line by his Italian team-mate Marino Basso.